In Jackie, as in her Oscar winning turn in Black Swan, Natalie Portman plays a woman on the verge of a nervous breakdown. She may not sprout feathers or stab herself with a mirror in this biopic of Jackie Kennedy, but her highly internalised portrayal of a brittle patrician struggling to hold herself together in the wake of her husband’s assassination has a similarly heightened, waking nightmare quality. 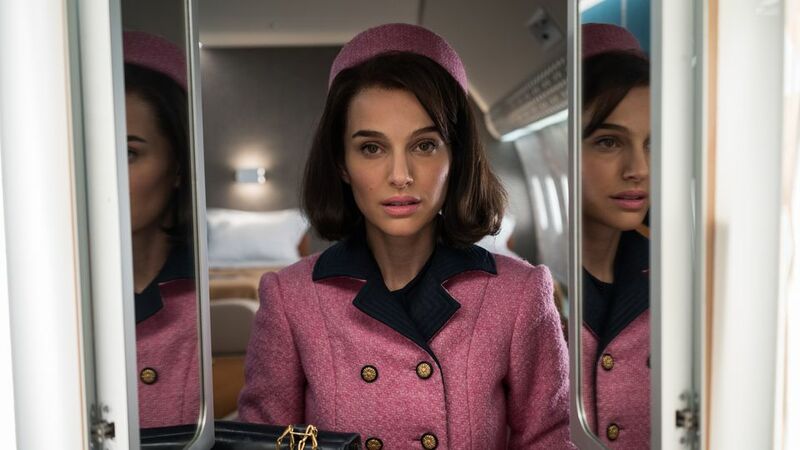 If anything, the role is even more demanding of Portman, if not physically then certainly in terms of the emotional beats she has to portray while also capturing Kennedy’s famous mannerisms. The film revisits the moment of assassination multiple times throughout the film – in flashback, and in Kennedy’s recollection of the event in two separate framing devices. It’s as if she’s become trapped in this moment, forced to relive it again and again while also attempting to exert some control over the rapid chain of events that followed. Portman is magnificent throughout these sequences, subtly differentiating her emotional responses in each retelling to suggest how Kennedy consciously navigated the no man’s land between her public persona and her private torments in the face of intense public scrutiny. Even in her most vulnerable moments, the wheels never quite stop turning. Indeed, Portman makes such a fascinating character study of Kennedy that I found myself wishing the film wasn’t quite so relentlessly narrow in its focus. The conversations with the journalist and the priest that frame the movie allow us to see different sides of who Jackie was, but there’s no sense of how she became that person, or who she would become after leaving the White House. Consequently, while it’s a hell of an acting showcase for its star, there are times when Jackie feels like it’s spinning on its wheels, spending too much of its runtime covering the same ground from multiple angles. For a film about a momentous event in 20th century history, it’s surprisingly light on incident and even, dare I say, a little dull. A touch less reverence for Portman could have resulted in a movie that really did justice to the remarkable work she does here. Instead, Jackie is a movie that’s likely to be remembered for her performance, but not much else.